Whether you’re looking to start a new career or to supplement your income. Finding the time to get qualified as an electrician can be difficult. With this in mind we have decided to introduce our New Weekend Domestic Electrical Installer’s course. 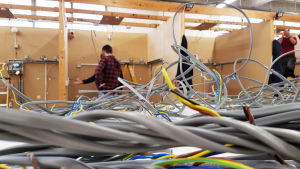 The Weekend Electrical Training Course has been designed for people that cannot attend the full-time course due to work commitments or other reasons. 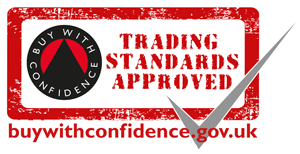 The content and qualifications are exactly the same as our full time electrical course. However we utilise weekend workshops to deliver the first part of the training programme. By doing this we enable our students to take less time off work whilst still being able to achieve their goals quickly. The Weekend Electrical Course starts in January 2016. To book on to the course give us a call on 0121 285 7472 or fill in the form and we’ll be in touch. We’re Logic certified and our training is hands on. You’ll learn in small groups with trainers who have years of experience. At Option Skills we guarantee to place you with a local, practising mentor if you wish. The placement underpins the knowledge that you learn on the course and gives you real on the job experience. We don’t just train and leave you. 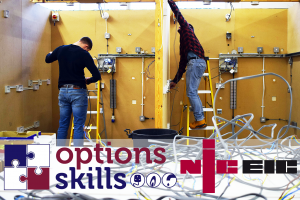 As an Options Skills trainee, you’ll get a 12 month trial of our Nice and Local network where you’ll get a free website and lead generation. We’ve got great reviews from past students, independently verified by our reviews and testimonials partner FEEFO. Have a read of our reviews now.